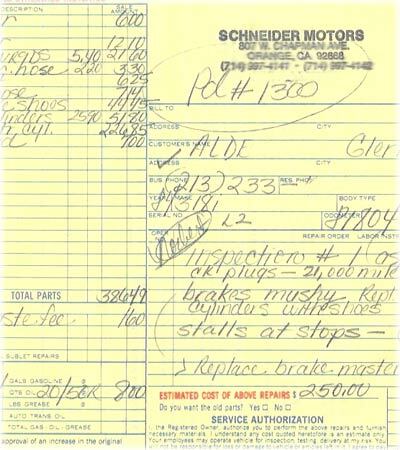 At Schneider Motors, we do complete BMW repair service and engine diagnostic services including "check engine" and "service engine soon" lights, electrical diagnosis and repair, cooling system service, brake service and any other repairs your car might need. We have the ability to service your BMW and the integrity to do the job right, providing you with dealer-level repair and parts at a much lower price. We also think you'll like the open feel to our business (something you don't get at the dealer) - speak directly with the mechanic who will work on your car. And you won't get the waiting in line, bad customer service or inflated prices you get at the dealer. Labor rate: Our labor rate is $95/hour. We do not charge the 'book' rate, but rather only charge for the actual time it takes for repairs (which is generally cheaper than the published rate).